Why use a thermal cooker when one has the slow cooker? Because it saves energy. I like using the crockpot to make chinese soups, but it is turned on for at least 2 to 4 hours or longer during cooking time. This might prove uncomfortable if you are environmentally conscious or you are concerned about energy costs although some people have argued that slow cookers do not consume a lot of energy. You might also feel uncomfortable leaving something hot on if you need to go out to run errands. If this is the case, you might want to give the thermal cooker a try. The Japanese was the first to invent the thermal cooker (also known as vacuum pot). It saves energy because it uses trapped heat to cook food. It has three major components: an inner pot, usually made of stainless steel, an outer container with insulation, and an air-tight cover. Soup ingredients and water are brought to a boil in the inner pot over the stove. It is then placed into the insulated outer container. The outer container is sealed with the air-tight cover. Since the outer pot is sealed and there is insulation all around, the heat in the inner pot has nowhere to go. It can "concentrate" on cooking the soup. Given sufficient time, the trapped heat will cook the soup and ingredients. This is a very energy-efficient way to cook. The food also does not get burnt since the heat isn't high enough to burn. The vacuum pot is very versatile. Besides soups, it has been used to cook many different food. I find it an ideal "green" soup making pot. The only problem is it is time-consuming...at least 6-8 hours. If you like your food fast, this is not the pot for you. I have heard complaints that food are under-cooked even when instructions are followed to the T. Do not underestimate the amount of time needed. 6 hours is the minimum for chinese clear soups with chunky ingredients. Less if the chinese soups have ingredients that cook easily. I would not recommend making pot roast in the thermal cooker, but if you want to try, you should cook it on the stove top for more than 20 minutes and make sure to increase the liquid used to cook the pot roast in. The liquid helps to retain the heat necessary to cook the pot roast. It is much better to cook with smaller pieces of meat such as this corn and pork ribs soup or this beef shank soup. The 2 best brands, in my opinion, are the Zojirushi stainless thermal cooking pot and the Tiger vacuum pot. Both are Japanese brands. Recently, I noticed that Thermos has thermal cookers too. 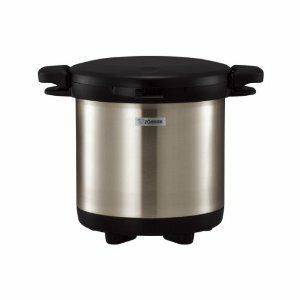 The RPC-6000 model comes with 2 x 3L and 1 x 6L stainless steel pots. Versatile, I like. There are of course cheaper versions but their quality and cooking effects are not as good. 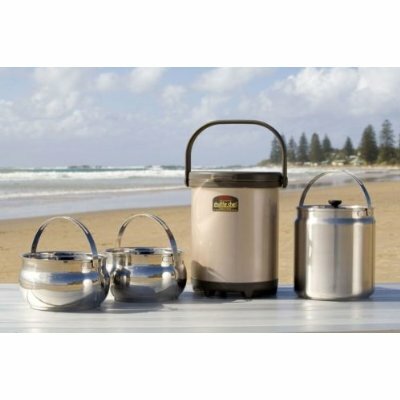 Besides slow cooking, it is also a great food warmer and portable food container. Because of the air-tight cover, it is spill-proof and leak-proof. Ideal for packing food for picnics and pot lucks. I heard people used it to make homemade yoghurt. Or as chiller to chill wine or beer. 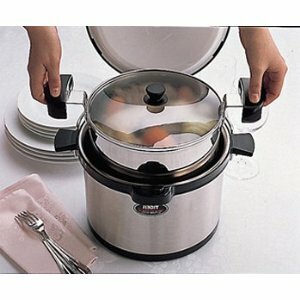 Have you used the thermal cooking pot in ways other than thermal cooking?